Vietnam, a dynamic country, has been experiencing strong economic growth since the 1990s, and the country’s poverty rate has considerably fallen. However, the reduction in the poverty rate is slowing down. According to official statistics from the Vietnamese government, the poverty rate was still 12% in January 2012, with 95% of impoverished families living in mountain regions. Vietnam also has a new challenge to face: with about 2,140 miles of coastline, the country is particularly vulnerable to the effects of climate change. Since 2000, AVSF has been working with small-scale livestock farmers in poor regions of Vietnam in fields such as animal health and production. At present, AVSF is working in the Ho Chi Min province, and in the mountainous regions of the North, that contain a number of ‘pockets of poverty’ in areas that are difficult to access and inhabited mainly by ethnic minorities. Many rural families there live below the national poverty line. Smallholders in these regions raise crops and livestock for their subsistence, producing rice, manioc, vegetables, tea, poultry and pigs, among other things. Raising small animals such as chickens and pigs is particularly important because they’re a good source of protein, a financial reserve that’s easy to mobilize and a way to diversify income in the event of a poor harvest. 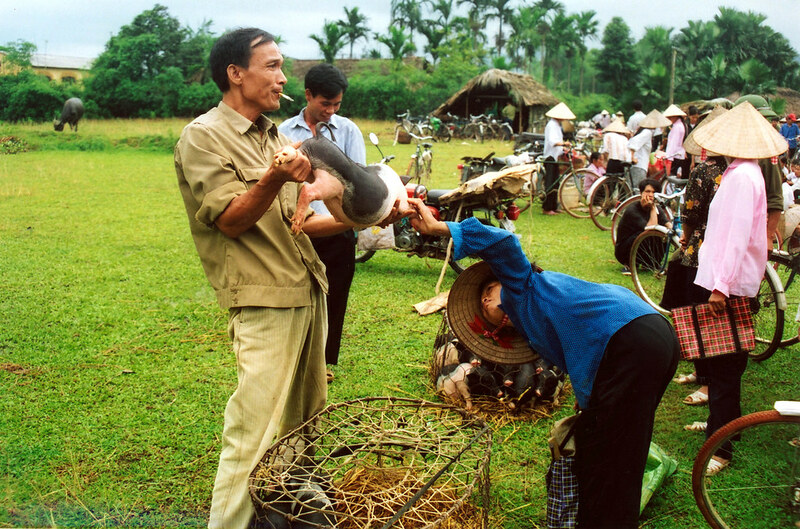 Promoting peri-urban smallholder livestock farming in the Ho Chi Minh province. Vietnam is also one of the countries where VWB/VSF Canada sends volunteers through their “Volunteers for Healthy Animals and Healthy Communities” project, to reinforce the capacities of local partner organizations.